Dr. Waggoner, Dr. Garber, and Dr.’s Megan & Nathan Holley recently attended a continuing education seminar in Indianapolis, Indiana. The subjects covered at the seminar allow them to stay up on all the latest in research and techniques. Dr. Jeffrey Spencer, an Olympic cyclist and sports chiropractor of the year in 2004, talked on how to keep our high performance athletes competing at a high level. Dr. Terry Yocum, a Diplomate in Radiology, spoke on MRI, Spondylolisthesis, and Whiplash. Dr. Patrick Gentempo taught on chiropractic philosophy. The doctors enjoyed gaining more knowledge in these areas which allows CCWC Dr’s to stay on the leading edge in the chiropractic profession. Remember our slogan! Your wellness is our goal! Cycling Club 1st Ride This Saturday! If you recall, back in early April we announced that we’d be starting a cycling club here at Community Chiropractic. Our purpose is to promote healthy living through exercise, and provide an opportunity for cycling enthusiasts, hobbyists, and newcomers alike to get out and ride together. Dr. Waggoner and I have been biking all around the Shipshewana, Middlebury, Bristol, and Lagrange areas, and there is a lot of beauty to take in here in Northern Indiana. The structure of the rides will be somewhat dependent upon who shows up. Eventually, we may get up to 2 or 3 rides per week, depending on the level of interest. We are happy to announce that the wait is over, and we’ll be having our first Community Chiropractic Cycling Club (CCCC) ride out of Shipshewana this Saturday morning at 8:00 a.m. Please make sure to bring a helmet, and a water bottle so you can stay hydrated. We’ll meet right here at the Community Chiropractic office in Shipshe. The address 660A South Van Buren St. If you have any questions, please feel free to call 260-894-1739 to speak with me (Aaron). We’ll look forward to seeing you Saturday morning! Have a great week! Want to sponsor a family adopting an orphan, and/or sponsor a child? Not sure how to make it happen on a budget? How about biking to work? Most of our readers know by now that I have been on a journey this year to lose weight (41 pounds down, about 50 to go). Part of that journey is creating a habit and lifestyle of being active. As part of that, I have been biking to and from work a couple of days a week. I was commuting by bike to my offices this week, and was thinking about how much gas money I was saving by riding. I will save at least $50 dollars in my gas allowance a month! Now, I could use that money to bump up my cable package, or buy myself something nice. But why not change lives with it instead? $19 a month will go to a boy at Lifesong schools. $20 a month is going to Village To Village International designated to the Fry family. They are adopting two orphans from Ethiopia. $10 leftover I will take my wife out for coffee, and enjoy spending time with her. What can you give up to gain!? Sounds strange but I’m giving up driving to work 3 days a week to gain health, gain the privilege to help others, and gain some extra date time with my wife. Please join in by going to the flowing links. As the director of fitness here at CCWC, I spend a portion of my time working with clients that are setting weight loss goals or just trying to get in better shape. If you read the previous blog entry, Dr. Waggoner is one of those clients that is making great progress towards achieving his goals. What’s great about losing weight the proper way (exercise coupled with eating right) is that through the exercise, you find that your body is capable of so much more than you thought possible. Doc is much more fit now; able to ride his bike faster and longer than he was just a month ago! In order that I too would get a workout when out exercising with Dr. Waggoner, I rode what’s called an Elliptigo. 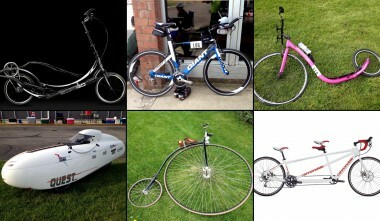 If you don’t know what that is, imagine the love child between a bike and an elliptical machine you’d find in any gym. It gives you many of the benefits of running without the impact. It does however take quite a bit more effort to go say 15 mph than it does on a bike (about 30%); not to mention the fact that the upright posture maintained while riding is the furthest thing from aerodynamic. Therefore, it was a great way for Doc and I to push each other while both getting a great workout. My father asked me if I wanted to do the Calvin’s Challenge with him this year on the Elliptigo along with him. It’s an annual race every year in Springfield, OH and includes four separate competitions. They are best known for their 12 hour challenge, in which you ride as many miles as you can in 12 hour’s time. I think I’d rather be shot in the foot than ride 12 hours straight, but thought 6 hours would be doable. Doctor Waggoner was unable to attend, because his son was getting married the next day, and he had a rehearsal to attend. So, representing Community Chiropractic & Wellness Center, I signed up for the Challenge! The week and a half leading up to the ride, I got about 200 miles in as preparation for the endurance I would need to reach my goal of 80 miles within six hours. Honestly, my true goal was just making sure my 64 year old father wasn’t going to beat me. How hard could that be? I also asked a good friend of mine, Mike Marshall, if he’d be interested in taking on the Challenge, and he signed up as well. He opted to stick with his trusty bicycle rather than trying the Elliptigo (I still haven’t managed to get him to even give it a test ride). 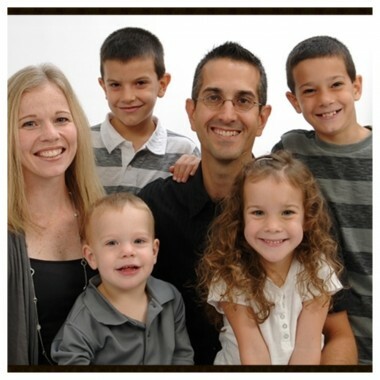 Dr. Waggoner was recently a guest blogger on Lifesong for Orphans’ website. 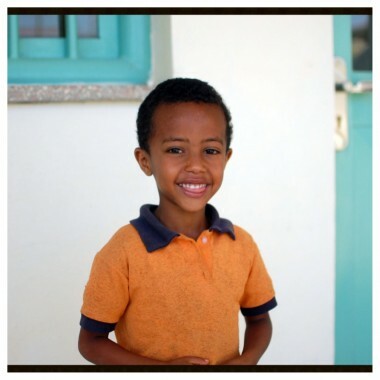 He wrote about his experience with child sponsorship and what it means to him and his family. Just head to this link to read what he had to say!